Staufhammer? What the heck is this? Firearms are very intriguing machines. 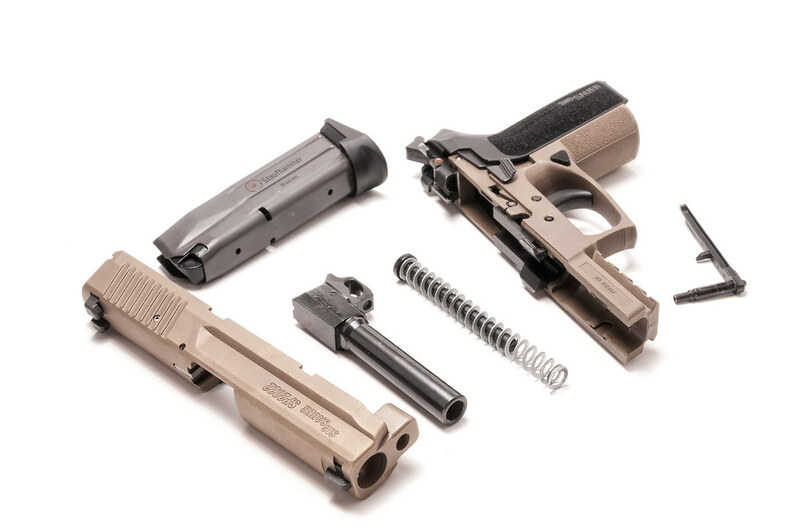 An intricate collection of parts, designed to work in tandem to provide end-users with a means of self-defense, a tool for duty, an instrument for competition, or simply a device to supply a fun day at the range. As firearm enthusiasts, many of us appreciate the art involved in the design of these machines; from the simplistic beauty of a Glock 19, to the classic, timeless form of a 1911, the modern and sophisticated ergonomics of the H&K P30, or even the utilitarian allure of the CZ75. Others take pleasure from viewing various configurations of these firearms, and planning their next part upgrade, or reminiscing about their last range trip or competition. Others still just like to compare models to help them make the best decision possible for their next firearm purchase. Regardless, we all like looking at gun pictures! As a photographer, I enjoy discovering new ways to capture the details that make each of these unique and to share them with others in the most aesthetically pleasing manner possible. I enjoy shooting and owning handguns the most, and as a result of this, you’ll find that they will comprise most of the content here; but I appreciate almost anything that goes bang, and try to get my hands on new things to photograph as often as possible. Since I am a transplant from a … ‘less’ free state to a ‘more’ free state, the world of firearms and sport of shooting are both relatively new to me. As my photography hobby is also a fairly recent development, I am always learning new things – new lighting techniques, new editing styles or composition ideas. It is my goal with this site to catalog not only my experiences and thoughts on different firearms, but also my photographs of them, and the staging and lighting techniques I used to create them, with the goal of helping fellow enthusiasts take better images. We all know there is a wealth of, for lack of a better word, ‘crappy’ gun pictures out there – Why not try to improve them? I am a student, so my budget is low. Apart from the initial investment in my camera, all of the equipment I use to create my photos can be cheaply found on ebay, or put together as a DIY with the help of craft and home improvement stores. Welcome to Staufhammer. Stay a while. Well, not yet, since this is the first post, but do come back soon.